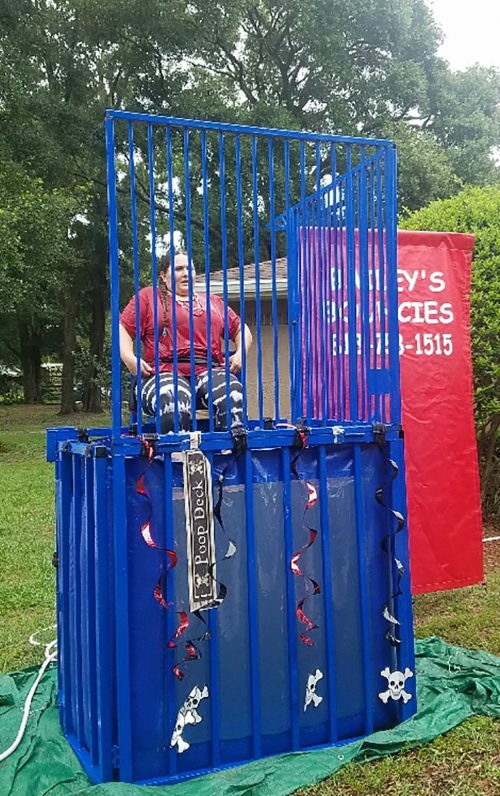 When attorney Lisa Esposito went in search of a cause with meaning to help her and fellow members of the Hillsborough County Bar Association find a way to give back, they didn’t have to look far. Just off Lithia-Pinecrest Road in Brandon, 60 foster children live in group homes with house parents and a loving staff who take care of their basic needs and beyond. Still, these sibling groups, many taken from their biological parents with nothing more than the clothes they were wearing and, perhaps, in the middle of a domestic dispute or an overdose, don’t get many chances to just enjoy being kids. Esposito and her merry band of pirates — all members of the Community Service Committee for the bar — change that for one day a year. 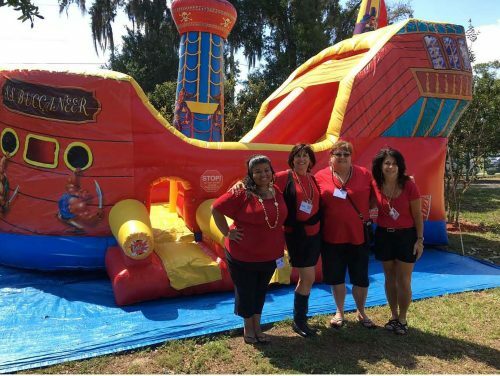 This year their Pirate’s Plunder Party for A Kid’s Place group foster home, will take place Saturday, May 18, when volunteers will dress in red and black and descend upon the grounds. With them, they bring games, sweets, lunch, pirate garb, a bounce house, photo booth, candy machine and much more. It takes about $10,000 and 75 volunteers to pull it off. You can also open your wallet and purchase toys the kids can win when they play the games; give cash that goes toward the party; or sponsor a booth for anywhere from $200 to $700. “I started it six years ago when I was looking for a new program to work with,” Esposito said. She had worked with other groups who would promise to bring 60 kids and show up with 15. She wanted a smaller group she knew would benefit. Esposito showed up unannounced at 5 p.m. on a Thursday. She saw a fabulous play room, kid-size furniture, a school and great family groups. “I loved it. It used to be when parents went to jail, their kids pretty much went to jail and it was traumatizing.” The founders of A Kid’s Place used community funds to build A Kid’s Place so brothers and sisters would not have to be separated and live in warehousing before being shipped off to a foster home. The five houses, which all can house 12 kids, are set up like a cul-de-sac with a playground in the center. Each house has a house parent, and a social worker is assigned to each. If a child has a trauma, there is someone there to talk to him or her. If teens are staying there, when they age out of the system, they aren’t just shown the door. They are taught life skills, like writing a resume and balancing a checkbook, job interviewing skills and more. “They think about the kids in a holistic way,” Esposito said. “I remember one time they were looking for outfits for boys and girls for a Valentine’s dance. They go above and beyond. 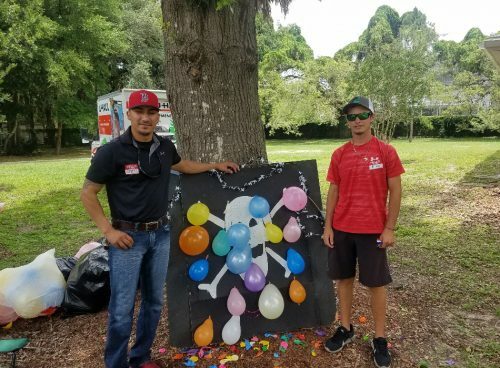 “The pirate party is set up to let the children have fun and keep their minds off of things,” Esposito said. The Pirate’s Plunder Party sets that all aside for a day. “We would love donations in the form of new toys, from $1 to $10, toys for boys and girls in 18 categories: small, medium and large toys for toddler, elementary age, middle school age and high school age for both genders,” Esposito said. Among the favorites, girls love jewelry, backpacks, purses and games. Boys love basketballs, footballs, games and backpacks. Use imagination and good sense in choosing the prizes. When the youngsters play games, they win tickets which they take to the prize table to choose their booty, which is broken up into categories, from minor prizes to more major prizes, like jewelry sets and the soccer and basketballs. 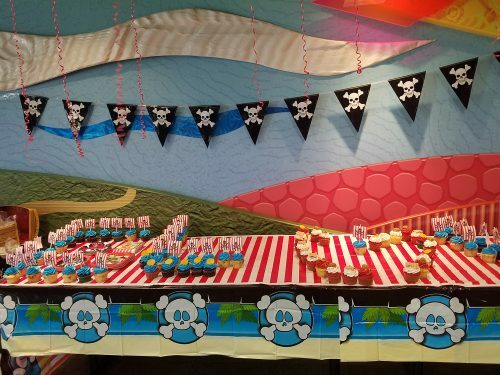 While Esposito has secured Bubba Q’s as a sponsor for lunch, sponsors are still needed for other games and booths, and pirate-themed desserts are still needed. To learn more or to donate, contact Esposito at lisa@lesposito.com, or call her at 813-223-6037. Businesses that donate can fly their banners and will be mentioned in a flyer that goes to 10,000 members of the Hillsborough County Bar Association. Checks can be made out to HCBA, with the subject line reading: A Kid’s Place. Send them to Esposito’s office at 3606 W. Swann Ave., Tampa 33609.